Home Business In NY, A Great Casita Maria Experience = 1 Workshop + 1 Performance in 1 Day! 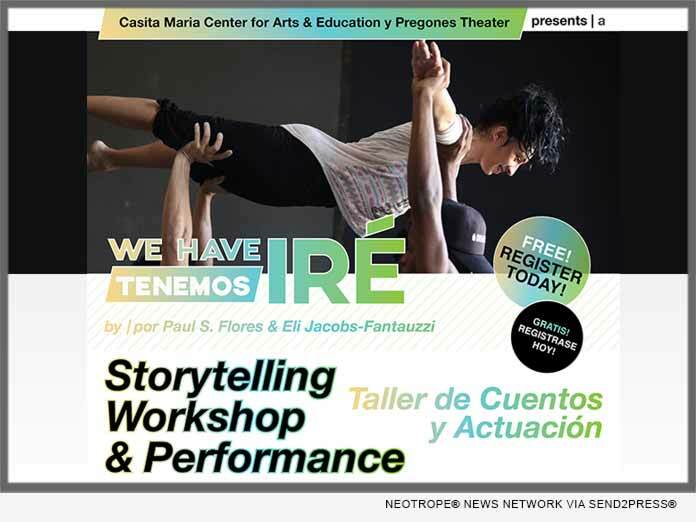 (BRONX, N.Y.) -- NEWS: Casita Maria Center for Arts & Education, in partnership with Pregones Theater, is proud to present "We Have Ire," a free excerpt performance of the multi-disciplinary theater project, on March 9, 2019, 2 - 2:45 p.m. The performance combines spoken word and theater produced by Cuban-American writer, performer, Doris Duke; Artist and San Francisco resident Paul S. Flores; with live jazz music from artist Yosvany Terry; modern dance from Ramon Ramos Alayo; video projection by Eli Jacobs-Fantauzzi; and hip-hop beats from DJ Leydis. Directed by Rosalba Rolon.